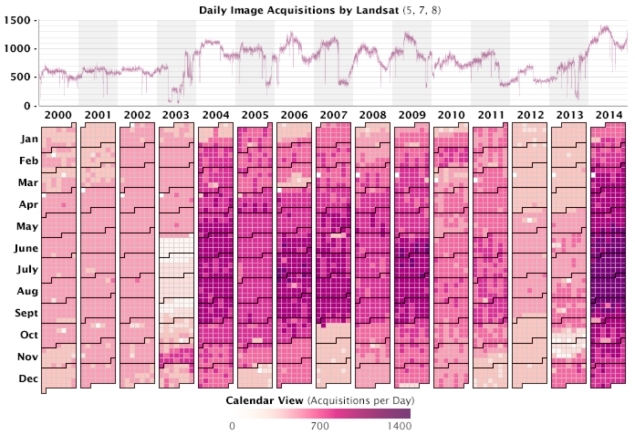 Very nice overview of how the Landsat archive has jump started new avenues in earth science, ecoinformatics, and public communication and participation. In 2008, the U.S. Geological Survey took 3.6 million images acquired by Landsat satellites and made them free and openly available on the Internet. Dating back to 1972, the images are detailed enough to show the impact of human decisions on the land, and they provide the longest continuous view of Earth’s landscape from space.